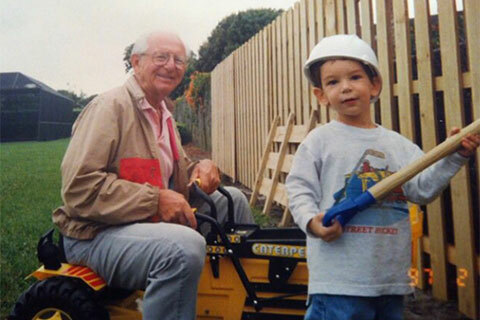 Evan Butters and his grandfather, Benjamin Goldman. 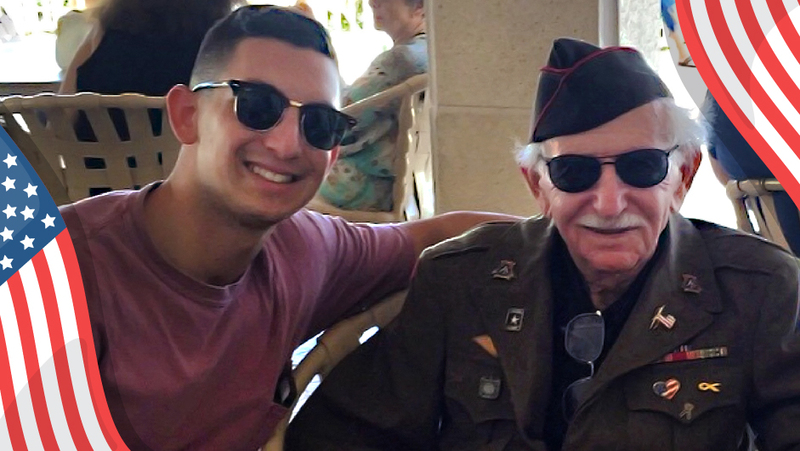 Combining his love for the U, his grandfather, and philanthropy, one South Floridian is determined to help UM Alzheimer's researchers find a cure. Evan Butters grew up in South Florida a ’Canes fan. His father, aunt, and uncle all attended the University of Miami in the ’80s but his connection to the U deepened within the last year when he decided to organize a cycling event at Markham Park on Nov. 17 to honor his late grandfather and raise funds to conquer the disease that robbed Benjamin Goldman of his memories. Growing up, Butters had a close relationship with his grandfather, who he describes as an energetic, kind-hearted man with an “unbelievable sense of humor” who loved making others laugh. It’s that sense of kindness that Butters—now a graduate student pursuing a career in real estate with a focus on sustainability—tries to emulate. Watching his grandfather suffer from Alzheimer’s as he aged prompted Butters to learn about the disease and research the University of Miami Miller School of Medicine’s John P. Hussman Institute for Human Genomics is conducting. Pericak-Vance, who discovered the first major genetic risk factor for Alzheimer’s disease in 1993, leads a team that conducts interdisciplinary and pioneering research to promote a better understanding of genetic conditions. The Hussman Institute’s studies range from age-related macular degeneration and Alzheimer’s disease to amyotrophic lateral sclerosis, also known as Lou Gehrig's disease, and Parkinson’s disease. The Alzheimer's team is trying to find the disease's causes, better ways to diagnose it, and better treatments. According to the Centers for Disease Control and Prevention, the number of people with Alzheimer’s disease will nearly triple over the next 40 years, especially among minority populations, which puts African-Americans and Hispanics most at risk. Having seen a loved one slowly deteriorate from such a horrible disease, Butters decided to combine his personal experience and passion for philanthropy—something fueled by his upbringing—to honor his grandfather. His mission was simple: raise awareness and funds while giving those affected by Alzheimer's a voice. A native of Poland, Goldman emigrated to the United States as a child, living first in New Jersey before settling in Florida. As a young man, he enlisted in the U.S. Army and fought major battles across Europe during World War II in the 108th Anti-Aircraft Artillery. He wore his uniform jacket well into old age to show the pride he felt for his country. Butters now treasures that jacket, forever a reminder of his grandfather. You can join Butters and the South Broward Wheelers, who have partnered to host the first Biking for Ben charity cycling event, on Nov. 17, at Markham Park in honor of Goldman. Participants can choose from three routes, including a 3-mile, 30-mile, and 60-mile route. All proceeds benefit Alzheimer’s research at the Hussman Institute.